The Achilles heel of cancer has been found. Cancer patients can dispatch Trojan horses into cancer cells and kill them in place without side effect. Cancer cells are vulnerable to changes in the level of intracellular calcium. Subtle changes in calcium levels can selectively cause cancer cells to die off and healthy cells to remain unharmed. Typical dosage ranges of these nutrients used to maintain health are provided and are frequently combined and consumed without significant side effects by healthy adults. There is little likelihood of serious side effects. Take these dietary supplements daily on an empty stomach if possible to induce cancer cell death via overwhelming release of calcium within tumor cells. Healthy cells will not be harmed. This non-toxic method of halting the growth of tumor cells via release of calcium from within tumor cells is a major thrust of cancer research today. Some toxic cancer drugs employ this same mechanism. However, the mindset of researchers is to do this with billion-dollar block-buster drugs, not dietary supplements. The convincing evidence for this cancer remedy is growing day-by-day. Calcium signaling and apoptosis (cell death). Biochemical Biophysical Research Communications 2003, 304: 445–454. 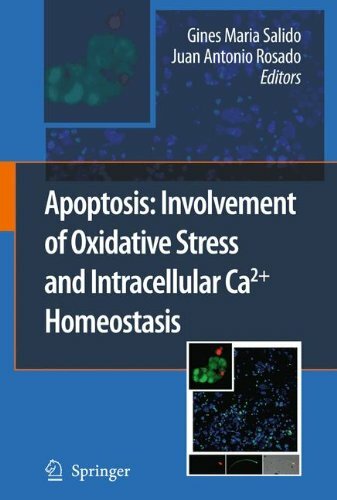 Regulation of cell death: the calcium-apoptosis link. Nature Reviews Molecular Cellular Biology 2003, 4: 552–565. Calcium regulates cell death in cancer. Biochimica Biophysica Acta 2017 Aug. 1858 (8) 615-27. Calcium in tumor metastasis: new roles for known actors. Nature Reviews Cancer. 2011 Jul 22;11(8):609-18. But wait, you say many people take calcium and vitamin D for bone health and they still got cancer. Let’s take a quick look at the studies. A recent prospective controlled study published in the Journal of the American Medical Association that employed 1500 milligrams per day of calcium and 2000 units of vitamin D3 for 5 years did not produce a decline in overall risk for cancer among postmenopausal women compared to inactive placebo tablets. A new diagnosis of cancer was confirmed in 3.89% in the vitamin D3 + calcium group and 5.58% in the placebo group, a 30% relative risk reduction. But researchers puzzlingly concluded “vitamin D3 and calcium compared with placebo did not result in a significantly lower risk of all-type cancer at 4 years.” The conclusion does not match the data. Supplementation only produced a modest increase in blood serum vitamin D levels (32.8 nanograms/milliliter to 43.9 ng/mL), far from optimal blood levels (90+ ng/mL). The study group had a higher vitamin D level than the estimated 30 ng/mL in 75-80% of the adult population. In another study conducted ten years earlier with participants fitting the same study population of postmenopausal women, 1400-1500 mg/day of calcium + 1100 units of vitamin D3/day substantially reduced all-cancer risk. One reason why calcium + vitamin D studies produce null effects is because analysis of healthy vitamin D blood levels used to establish the Recommended Daily Allowance were initially miscalculated. Instead of the assumption that 600 units of vitamin D will achieve vitamin D blood serum levels of 50+ nanomole/Liter of blood in 97.5% of healthy individual a recalculation reveals 600 units of vitamin D3 will only achieve a 26.8 nanomole/liter blood level. The new calculation calls for 8895 units of vitamin D per day to accomplished a blood level of 50+ nanomole/liter in 97.5% of individuals. Other researchers confirm adults living in northern latitudes probably need ~9122 units of vitamin D3 per day for 97.1% of adults to achieve a 50 nanogram/liter blood concentration. But we are not talking about prevention, we are talking about a cure – inducing a dramatic sudden die-off of cancer cells and a total cure in just a few weeks. To understand how this cure works you have to visualize what is going on inside cancer cells and why they are so resistant to treatment. Living cells have a central nucleus where genetic material (DNA) is housed, and the nucleus is surrounded by watery cytosol. Within the tumor cell are power plants that produce cell energy. These are called mitochondria. In between the mitochondria and nucleus is a maze-like labyrinth called the endoplasmic reticulum. Proteins pass through this organelle. The endoplasmic reticulum is where calcium accumulates in tumor cells. In fact the endoplasmic reticulum is the major storage location for calcium in the cancer cell. Calcium concentration in the endoplasmic reticulum varies from 60 to 500 micromole (8.3 –fold difference). A continuous flow of calcium from the endoplasmic reticulum to the mitochondria is necessary in order to maintain normal cell energy. 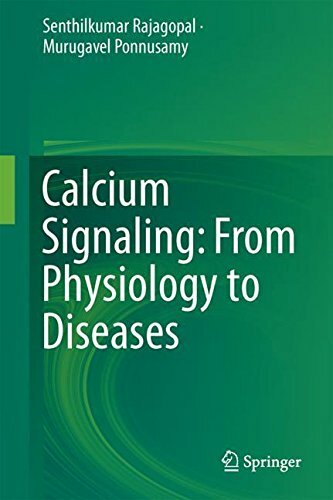 Failure to supply continuous calcium in the cell can trigger a signal to eliminate the cell. In fact, low levels of calcium or magnesium can trigger cell death. A decision must be made to deplete or oversupply calcium in order to induce cell death. The method brought to the attention of readers in this report suggests calcium flooding inside a cancer cell will kill it. The change in calcium concentration can be subtle but lethal. Something not shown in most drawings of living cells is that the mitochondria are tethered to the endoplasmic reticulum. The endoplasmic reticulum releases calcium into the mitochondria, which stimulates energy metabolism. Release of calcium from endoplasmic reticulum to mitochondria is necessary for the mitochondria to produce energy (ATP). But this also creates a vulnerability in cancer cells as their energy compartments now rely on calcium. Mitochondrial calcium addiction is a unique feature of cancer cells. Calcium is re-cycled back to the endoplasmic reticulum by an enzymatic intracellular pump called SERCA ATP-ase. Researchers say it is increasingly apparent that intracellular calcium contols cell growth and metabolism. The SERCA enzyme that pumps calcium back to the endoplasmic reticulum to maintain calcium balance. This enzymatic SERCA calcium pump has gone haywire in cancer cells. Cancer cells use the same calcium channels, pumps, and exchangers as non-malignant cells. However, there are alterations in calcium release in cancer cells. And these alterations can be exploited to produce a death signal. Cancer cells can die off via a process called apoptosis – programmed cell death. By what route does calcium exit from the endoplasmic reticulum? IP3 opens channels in the endoplasmic reticulum to facilitate the release of calcium. Cellular power plants known as mitochondria require optimal levels of calcium, whereas excessive calcium release can induce cell death. The release of calcium from the ER is facilitated by a molecule called IP3 that produces channels for calcium to exit into the cytosol. IP3 is derived from a dietary molecule called IP6 that is abundant in bran cereal. Vitamin D3 breaks down IP6 to IP3. To reiterate, calcium is bidirectional. The accumulation of calcium in the mitochondria can stimulate energy production but when amplified considerably can also send a signal for the cancer cell to die. Going in the other direction, reduced calcium content in the endoplasmic reticulum can also protect cells from drug-induced death. If the provision of calcium to the mitochondria is blocked, cancer cells will die. If a flood of calcium is released from the endoplasmic reticulum then it overwhelms the mitochondria that spit it back and this hyper-calcium state also kills the cancer cell. A report published by the National Cancer Institute says the ongoing shuttle of calcium from the endoplasmic reticulum to the mitochondria facilitates the production of energy (ATP) needed for cell survival. Blockage of calcium transfer from endoplasmic reticulum to mitochondria may be a way of selectively killing cancer cells. But also the release of calcium from the endoplasmic reticulum can overwhelm the mitochondria and lead to sudden and complete death of the tumor cell. It is this second “calcium overload” mechanism that can be exploited to kill cancer cells with off-the-shelf dietary supplements described in this report. Cellular calcium influx also activates the immune system. Enhanced influx of calcium into cancer cells results in more efficient cancer cell death by natural killer (NK) cells. Contrary to the common belief that accumulated gene mutations produce cancer, Dr. Lionel F. Jaffe taught that accumulated gene mutations are not responsible for cancer. Injuries that kill cells will increase calcium levels in surrounding cells as the excess calcium from dead cells is consumed by the remaining living cells. This is the beginning step in cancer initiation says Dr. Jaffe. It was Dr. Jaffe who initially described how calcium levels are raised in waves to initiate malignant cells. These calcium signals become self-perpetuating, says Dr. Jaffe. Waves of calcium will overwhelm healthy cells and induce biological stress and eventually malignancy. Calcium is said to be a “driver” rather than just a “passenger” in the creation of tumor cells. However, cancer cells devise ways to limit calcium into the watery cytoplasm and thus avert cell death (apoptosis). Waves of calcium within living cells transmit biological information. Disruption of calcium signaling contributes to the development of malignant cells. Abnormal calcium signaling enables malignant cells to fool and escape destruction by immune cells, to trigger new blood vessel formation (angiogenesis) that facilitates the feeding of tumor cells, and to avert programmed cell death, the phenomenon called apoptosis. The release of calcium also sends signals within cancer cells for their growth and spread. Tumor cells alter their calcium signaling in order to increase their invasion of surrounding tissues, to escape death, to fool immune-attack and to provoke development of new blood vessels that feed them. In fact, calcium is involved in all stages of cancer. Changes in the way calcium is stored and released are characteristic of cancer cells. Calcium release controls and facilitates the initiation of tumor cells, the sprouting of new blood vessels (angiogenesis) to connect tumor cells to a source of nutrition so they can grow, and for tumor cell migration (metastasis). The calcium signal is not only responsible for the initiation, growth and invasion of tumor cells to distant locations in the body, but calcium also, if intentionally over-released, can induce tumor cell death. The anti-cancer drug cisplatin attempts to induce calcium from the endoplasmic reticulum to provoke cancer cell death. In fact the manipulation of intracellular calcium represents the primary mechanism by which several tumor-promoting genes (oncogenes) and tumor-suppressor, genes are engaged. Altered calcium signaling transforms a healthy cell into a malignant cell that will resist programmed cell death (apoptosis), which is why cancer cells become immortal. Intracellular calcium is a double-edge sword for both life and death. As long as the calcium pump (SERCA enzyme) is maintaining calcium balance in the cell, it survives as a healthy cell. The SERCA enzyme (sarcoendoplasmic reticulum calcium ATP-ase), an enzyme that facilitates the pumping of calcium within living cells from the watery cytosol to an organelle called the sarcoplasmic reticulum, can be blocked by EGCG from green tea, omega-3 fatty acids, the cancer drug cisplatin, berberine from Oregon grape and diindolylmethane (DIM) as well as curcumin from turmeric spice, and the cell will die. The experimental drug thapsigargin derived from the root of Thapsia garganic is known as “the death carrot” and is considered a tumor promoter by its ability to increase intracellular calcium levels by shutting off calcium pumps and depleting calcium from the endoplasmic reticulum. The experimental use of thapsigargin dates back to 1986 but after more than 30 years neither it or any of its drug analogs (look-alike molecules) has been approved for use in the cancer clinic. Thapsigargin inhibits the enzyme (ATPase) responsible for pumping calcium out of the cell and therefore induces cell death. A drug version of thapsigargin has been demonstrated in lab dishes to induce cancer cell death. Thapsigargin has been shown to induce cell death by sustained elevation of intracellular calcium, an event that was inhibited by magnesium. Researchers were discussing the role of calcium release almost two decades ago, but no drug has gained approval to treat cancer in this manner. Modern oncology has had over three decades to test and approve an intracellular calcium-controlling agent for human clinical use. If modern medicine won’t do this, in the face of no cures for cancer, maybe patients will have to take matters into their own hands. The anti-diabetic drug metformin induces endoplasmic reticulum stress by influencing the release of calcium. The sleep hormone melatonin induces tumor cell death by its ability to induce changes in calcium status of tumor cells. The signal to release calcium from endoplasmic reticulum into the water cytoplasm and directly into mitochondria is controlled by IP3 (inositol triphosphate). IP6 is converted to IP3 by vitamin D3. IP6 (inositol hexaphosphate), a component of bran, is a dietary factor found in every cell of the body. It breaks down to IP3 to facilitate the mobilization of calcium. 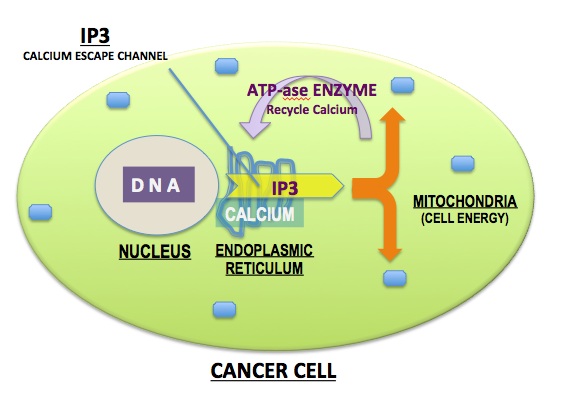 IP3 actually creates channels for calcium to be released from the endoplasmic reticulum. Vitamin D3 is required to stimulate the breakdown of IP6 to IP3. IP3 then creates channels in the endoplasmic reticulum to release calcium. Vitamin D influences intracellular calcium and is implicated in triggering cancer cell death (apoptosis). Vitamin D facilitates the entry of calcium from outside the cell to the intracellular environment and can provoke calcium influx-induced cell death. Vitamin D has been shown to induce cancer cell death by elevating and maintaining calcium release from the endoplasmic reticulum. Vitamin D is primarily a calcium regulating hormone/vitamin and may determine the fate of the cancer cell. Vitamin D induces sustained increase in the concentration of cellular calcium via release of calcium stores from the endoplasmic reticulum. Such vitamin D-sustained increase results in the death (apoptosis) of cancer cells. Calcitriol, the active form of vitamin D in the body, exerts an anti-tumor effect by virtue of its ability to induce biological stress in the endoplasmic reticulum. Menthol combined with vitamin D further enhances the vitamin’s ability to induce tumor cell death by calcium release from the endoplasmic reticulum. The trace mineral selenium also is actively involved in releasing calcium. Selenium deficiency has been demonstrated to reduce the efficiency of the calcium pump via diminished calcium ATP-ase enzyme activity. In lab dishes, high concentrations of selenium induced severe stress in the endoplasmic reticulum by release of calcium. Selenium is involved in SERCA calcium pump enzyme. Garlic pills or fresh-crushed garlic cloves provide molecules that induce immediate and sustained rise of intracellular calcium. The experimental drug thapsigargin abolished this effect. Garlic induces a release of calcium from the endoplasmic reticulum to induce cell death. DIM (diindolylmethane), a natural product known for its anti-cancer properties, has been demonstrated to increase calcium concentrations in cells to induce cell death. The red wine molecule resveratrol has been shown to produce a “devastating increase in calcium between the endoplasmic reticulum and mitochondria in tumor cells” but not healthy cells. Resveratrol makes cancer cells more prone to death by calcium overload. Quercetin, another natural molecule found in red apple peel and red onions as well as wine, is well known for its ability to release calcium. Magnesium reverses the effect of quercetin. Quercetin is a strong inhibitor of the ATPase enzyme required to pump calcium back to the endoplasmic reticulum, thus resulting in calcium overload and cellular death. The combined impact of calcium + vitamin D + IP6 (IP3) was explored in one experiment to demonstrate how these three molecules trigger sustained release of calcium from the endoplasmic reticulum to induce tumor cell death. Do not take at same time as the calcium cocktail. 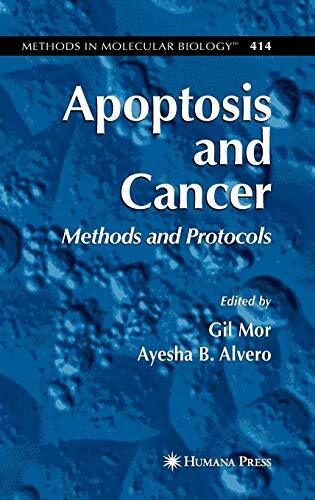 There is scientific argument over calcium-blocking drugs and whether they interfere with apoptosis (calcium-induced cell death) in cancer cells. Researchers dismiss any criticism that calcium blockers interfere with apoptosis. However, some studies do convincingly find calcium-blocking drugs in commonly used doses do in fact increase the risk for cancer. In a lab dish experiment a calcium blocker inhibited cell death by more than 70%. The current impetus is to find blockers, inhibitors and regulators of cellular calcium release and methods to maintain the return of calcium to the endoplasmic reticulum (the calcium pump) rather than efforts to flood the cancer cell with calcium to induce tumor cell death. The search for drugs to normalize calcium status inside living cells is the focus of research today. In over a decade, no such drug has undergone successful trials. Dichloroacetate (DCA) is an experimental cancer drug that causes a decrease in intracellular calcium. The idea behind DCA was to reverse cancer cell reliance on glucose sugar, produced in the liver, for cell energy and therefore cause cancer cells to revert back to utilization of oxygen for energy (cellular respiration). This report herein suggests an opposite direction to induce cancer cell death – namely overload the tumor cell with calcium until it provokes its own demise. Instead of waiting for some synthetic drug molecule to trigger tumor cell death by release of intracellular calcium, cancer patients can learn how to do this on their own and it will not interfere with their current cancer therapy. The question of whether to adhere to the suggested dietary supplement regimen in lieu of conventional cancer treatment (chemotherapy, radiation therapy) cannot be answered by this health writer. That is a decision that has to be made by the patient and their health practitioners. Disclosure to your physician over use of the dietary supplement regimen in this report is another personal decision cancer patients have to make. While this writer cannot advise concealment of this regimen from their doctors, the common experience is for physicians to belittle patients who seek alternatives therapies and sometimes to threaten abandonment of care if they do not follow the prescribed course of therapy by the doctor. However, the patient is likely to endure many rounds of treatment only to find treatment resistance has set in and they have no options left. What harm could possibly come of this? I have recommended vitamin D and IP6 (which contains calcium) to thousands of people over the years that were struggling with cancer. I can’t recall a single report of any side effect. Note: Bill Sardi is a health journalist and does not practice medicine nor diagnose or prescribe medicine to treat any disease. 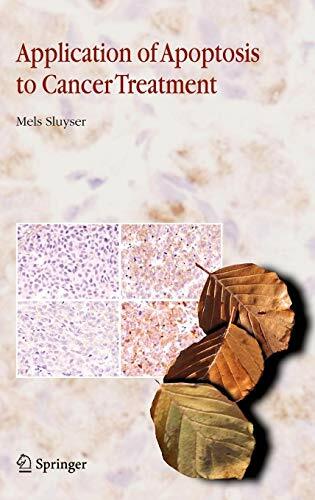 As an investigative journalist he is well versed on the topic of cancer having written a 500-page book about cancer (You Don’t Have To Be Afraid Of Cancer Anymore) and has also authored numerous reports on cancer breakthroughs (GcMAF, 3-bromopyruvate, IP6 rice bran, zinc and the thymus gland and vitamin C & D therapy).